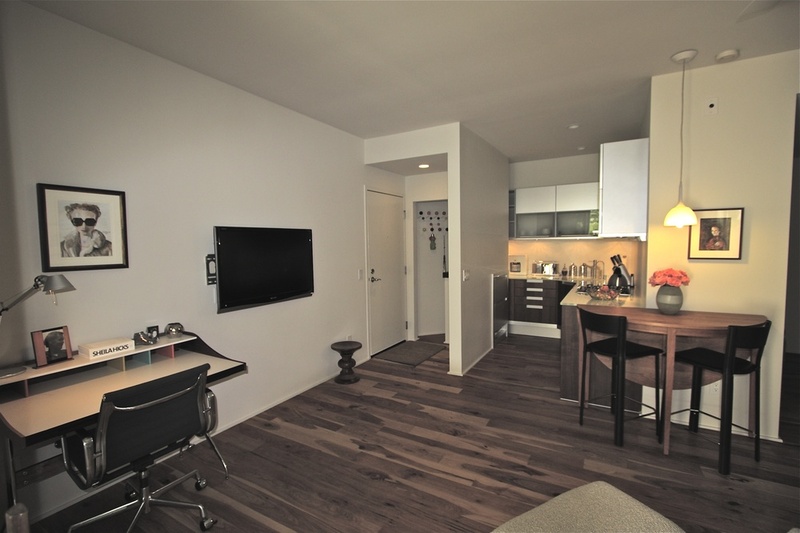 Objective: Transform 1970’s condo into energy-wise stylish home with ecoartisan details and all new, green finishes. 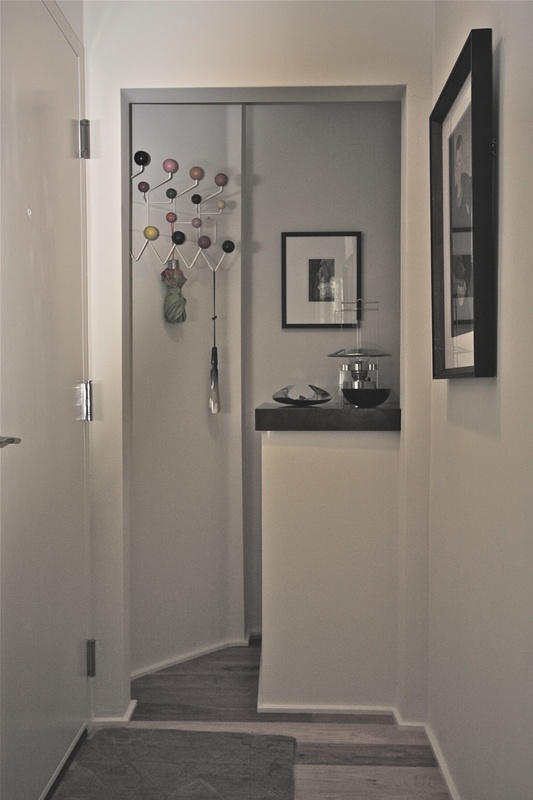 Results: Following the design of Diane Quntin of Studio Q Interiors, we took a dated and cramped, one bedroom condo, reconfigured the interior space, and created a beautiful, modern, and stylish studio. Energy saving features included a heat pump, on-demand water heater, energy efficient applicances, and LED and florescent lighting. 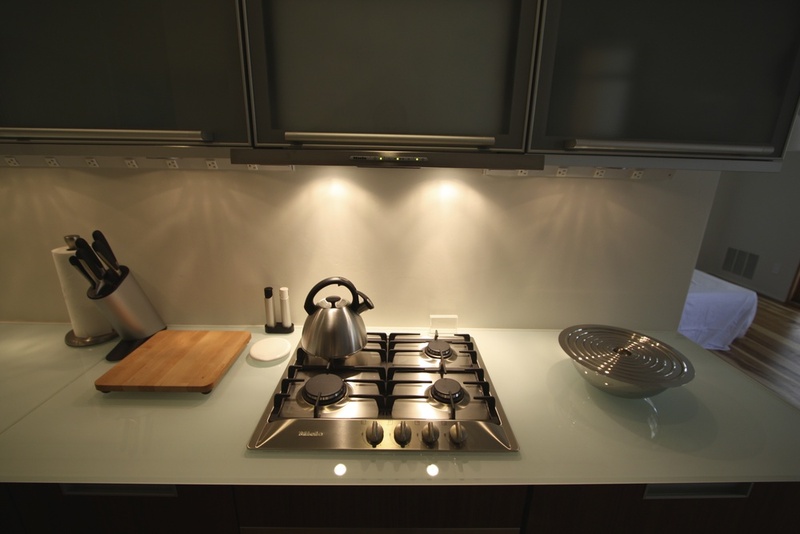 Green finishes in the kitchen included Poggenpohl cabinets with 3/4” thick glass countertops. The bathroom now features a custom made cabinet with glass top counter, floor-to-ceiling tiles, and a glass shower partition. Stainless steel ‘barn door’ track for sliding bathroom door. Bathroom includes custom made cabinet, glass top, floor to ceiling tiles. Shower has glass partition but no door. Hall accesses closet, laundry and bath. Sliding ‘barn door’ is seen here. Looking towards kitchen and entry. Entry, with original artwork by owner. The coat closet was replaced with colorful coat-hooks.